Liverpool forward Mohamed Salah didn’t waste any time rubbing salt into Manchester United’s wounds after their shock Champions League against Sevilla. United were dumped out of Europe’s top competition at Old Trafford after a lacklustre display against the sixth best side in Spain, leaving Manchester City and Liverpool as the only confirmed Champions League quarter-finalists from England. 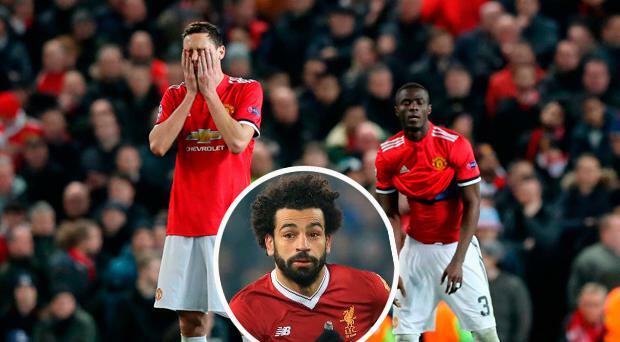 Chelsea could join them on Wednesday if they beat Barcelona at the Nou Camp, yet Salah was quick to share a joke at United’s expense on his Twitter account as he suggested he was counting down the hours before Friday’s quarter-final draw. Liverpool and City will be joined in the quarter-final draw by Juventus, Real Madrid and Roma, who came through their tie against Shakhtar Donetsk on Tuesday night. Barca and Chelsea will contest their second leg of their battle at the Nou Camp on Wednesday night with the tie level at 1-1 from the first leg, while Bayern Munich are almost certain to be in the last eight as they take a 5-0 first leg advantage into their last-16 clash against Besiktas.